The KÜNNE Group is a group of companies that predominantly produce quality wire. 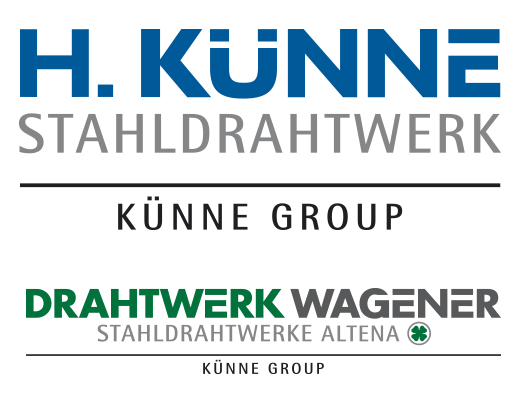 KÜNNE, headquartered in Hemer, and its subsidiary DRAHTWERK WAGENER are located in the region of origin of the wire-drawing industry, in the Hemer-Altena region of southern Westphalia. In the environment of the infrastructure that has grown with suppliers and processors, long-term trusting partnerships have developed, which allow us to react promptly and in a flexible manner to our customers' requests.